Sharing is something we plan on working hard on for future releases of Mealime. We think it's important for you to be able to share various parts of Mealime with your friends and family. For now, the following are workarounds you can take in order to share the important parts of Mealime with your friends and family. 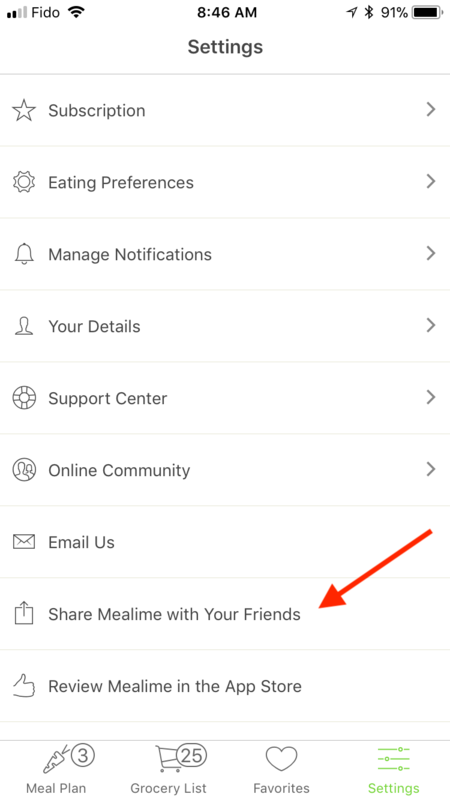 Though we don't have a share feature for the grocery list at the moment, many couples and families use Mealime together by downloading the app and signing in to the same account on each of their respective devices. With this method, the app will always be up to date for each person and only one account has to be created. 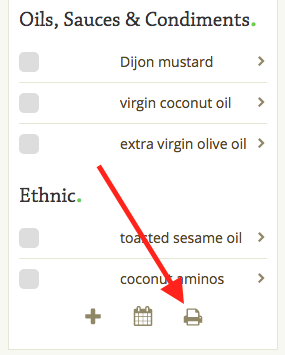 As an alternative, you can also print the grocery list (or print it as a PDF, which you could then email) using our web application. 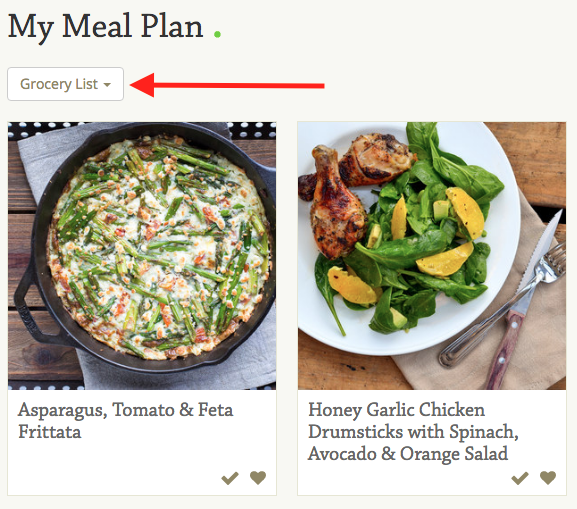 Please log in to the web app and open the grocery list by clicking Grocery List on the 'Meal Plan' screen. If you scroll to the bottom of the list, you can print the list by clicking on the printer icon. You can then 'print' the list as a PDF, which you could share via email. Thanks so much for wanting to share Mealime with your friends, family, and coworkers. We really appreciate it! We currently have a basic app sharing feature available in the iOS app. To share the app, please open the Settings menu and tap on 'Share Mealime with your friends'. This will bring up a Facebook sharing feature that will allow you to share the app on Facebook.